Like I mentioned in a previous thread of mine I have been out of the laser game for a while now. I am now trying hard to resist the urge to build a custom green laser (which I definantly would like to do eventually). I am just wondering about what wavelength I want now. The original plan was to go with a powerful 532nm but how do these other exotic green wavelengths compare? Does one look brighter than the other. 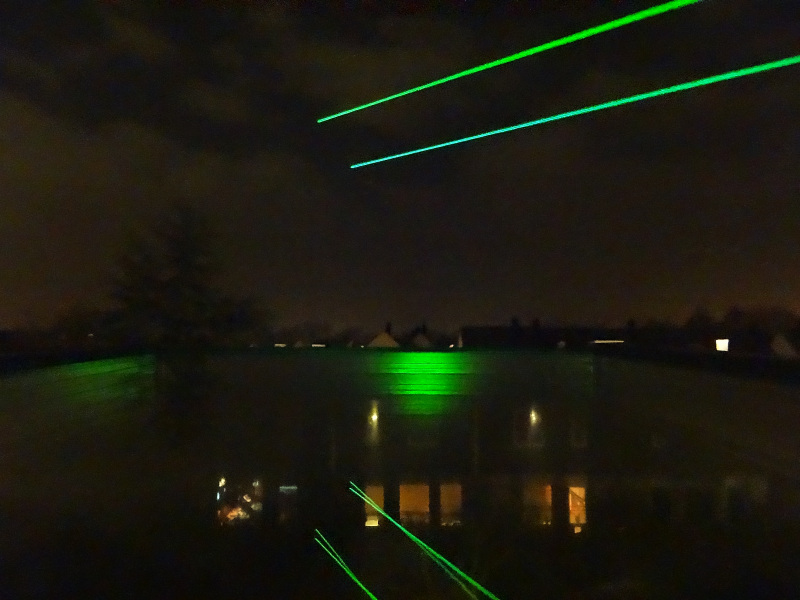 Are the lower green wavelength still very bright even though they don't get to as many mW as the 532nm lasers. The two greens are a 510 and 532 at 15 and approx 80 mW respectively. Thanks for all the help guys. Lets say I get a 500mW 532nm module, there is no way a 510-520nm diode can compare to the brightness of the 532nm right? If you don't know of Sams Laser FAQ you should visit and bookmark it. Very good comparison between them with those shots. I end up comparing my 41mw 515 with an equivalant powered 532 and then another comparison between the 113mw 520 and an equivalent 532. Find there's just too much difference in the brightness otherwise to really make a good comparison otherwise. That is correct, a 500mw 532nm will be expensive but will be far brighter than any currently available diode. Don't follow the rgb tool for colors, just relative brightness. It doesn't show greens in that spectrum right. Smeerworst's comparison is about right. mW per mW, 532nm is brighter. Though, say you have 100mW of 520nm, that will be brighter than 50mW of 532nm. Both output 100mW in this picture. Where would you even go about getting a 561nm? This is a CNI laser product. It's the only company I know of that makes a laser pointer at this wavelength. Hmmm, I don't really like that 561nm color actually. I guess I'm not really sure what I want. I would die for 561 it's such a nice/ugly 60's color that makes it very nice again. The original plan was to go with a powerful 532nm but how do these other exotic green wavelengths compare? Does one look brighter than the other. Are the lower green wavelength still very bright even though they don't get to as many mW as the 532nm lasers. If that is still your quest than 561nm will have apparent brightness greater than any other wavelength you might buy or construct other than a laser at 555nm. It's not my favorite color either, but if I wanted the greatest apparent brightness it would be this wavelength or 556nm.